AMAZING limited edition [500 copies only!] 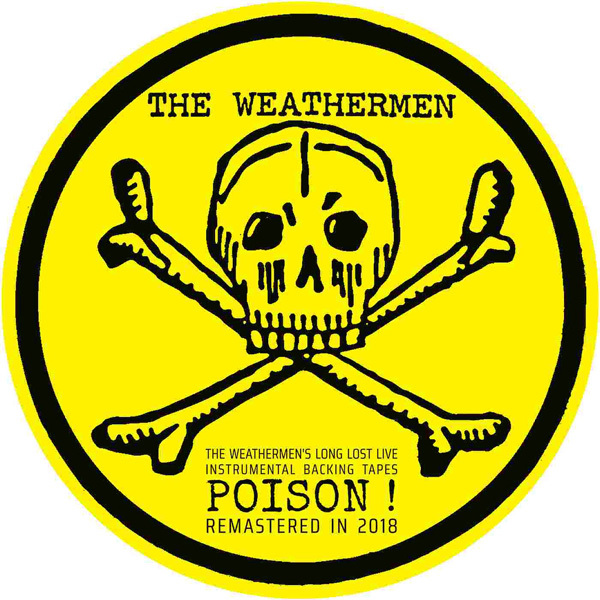 of one of the 80s ABSOLUTE EBM cult classics: THE WEATHERMEN’s mighty POISON! Released as 6-tracks Picture Disc, this version features 6 tracks on the Vinyl and 22 download Bonus-tracks! In 1985 an unknown "American" band hailing from Big Sur in California dropped a package at the doors of the Play It Again headquarters in Brussels. Four 12"s and an LP later they had to reveal they were only half American and hailed from Brussels. Here are the missing backing tapes of this world tour freshly remastered for your pleasure by Eric Van Wonthergem (Monolith, ex-Klinik, Sonar, Absolute Body Control, Insekt…) Plus those of the short reunion tour of 2006 and the last ever gig at Kissinger in 2009.